For the record this is a re-review. The first time I sat down with a DV it was a DV 7 and my experience was less than amazing. I was only too happy to put this chapter in mouthpiece ownership behind me until a deal on an absolutely mint DV presented itself and I had to give it one more chance. What’s different between this and the previous DV I reviewed? Not too much if you consider that Jody Jazz pumps these out of a CNC machine. Assuming the brass stock they start with is the same and there are no major variations in the production process the only difference should be the tip opening. I am certain some pedants will note that there should be a slight difference in the facing curve due to the slightly larger tip opening but without measuring I couldn’t tell. What made a difference for me was that my beloved Légère reeds just didn’t want to play nicely with my embouchure on this mouthpiece. I tried slightly harder to slight softer in the classic and signature and just couldn’t find one that gave me the best response. What worked? Rico Jazz Selects 2.5 were just the ticket to make this piece sing. To be certain I covered my synthetic reeds bases I also tried my Bari brand synthetic reeds as well as Fibracell reeds. These were excessively bright as was the case with the Fibracell or muddy and unresponsive as with the Bari brands. Just for reference I own a full set of Légère for Baritone and bass of classic and where possible selects. For Fibracell and Bari brand reeds I own from 2 to 4 in reed strengths. In the end the natural cane was going to be the best option for this tip opening and my embouchure. With all that said what can it do? Simply put it is a solid performer that is of medium brightness and really tight articulation. This mouth fell is close to that of a standard metal baritone piece. I found that I had to bring the corners of my mouth in a smidgen to accommodate the change from a rubber piece to metal. After an hour of playing it the new embouchure position will feel natural. CONS: I have found sub-tones to be more difficult to do with a full breathy tone. The best I could do has my intonation going much flatter as I sub-tone into the lowest notes. To contrast this I have no difficulties sub-toning with rollover style baffles and maintaining much tighter intonation. This could be a assumption of the higher baffle and chamber design. The mouthpiece cap is a let down. It covers the tip down to about 1.2″ or about 3cm. This leaves exposed 80% of the mouthpiece. Hard rubber mouthpiece resist the change in temperature from when you are playing to when you are resting. If you slip a cap on you can keep a bit more warmth in the mouthpiece making it more comfortable to play coming out of a rest. The DV goes glacier almost immediately when you stop puting air in it. Come on Jody lets get a long leather cap like Vandoren makes. Lastly, the price is the other major con. VALUE CONSIDERATION: This thing is expensive even on a good day. 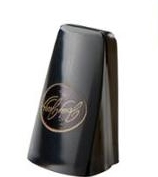 I own horns that are the same value as this mouthpiece. I argue that Jody Jazz is no longer a boutique manufacturer. As such i don’t feel I get the best value when comparing performance to price. That distinction goes to the RPC piece. For a modest sum you get a mostly-hand crafted piece that is made for you with your personal needs in mind. For a best value over all I’d say Rico Metalite ($30ish new) for a high baffle piece and a second hand Vandoren V16 (<$150) for just about every other non classical music need. TAKE AWAY: If you are look for a paint peeler that can beat back an electric guitar then look elsewhere. 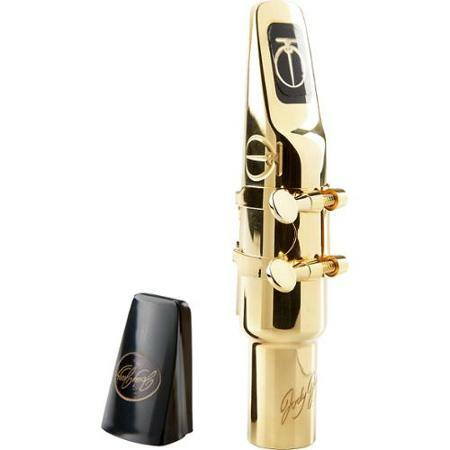 This mouthpiece/reed combo is capable of full but not overly warm lows and powerful but not over shrill highs. All things considered it is a good buy when purchased used and can let others eat the immediate depreciation.